Running in Ghent, Belgium. 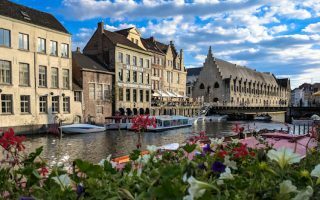 Best routes and places to run in Ghent. 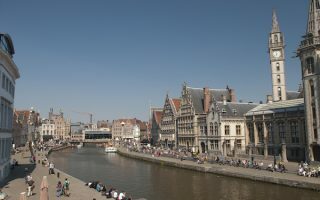 The port and university city of Ghent, located in the East Flanders province of Belgium’s flemish region, was at one time one of the riches cities of northern Europe. 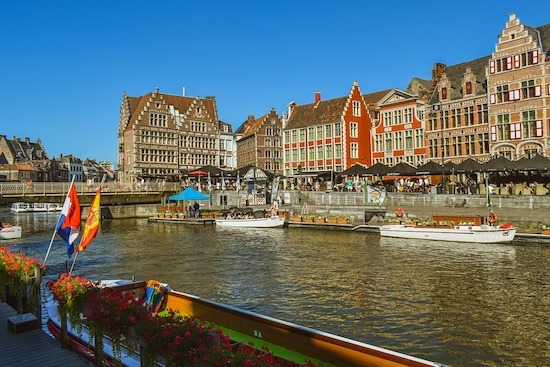 With a well-preserved, pedestrian-only medieval center and numerous waterways passing through town, Ghent is a popular visitor destination. Running in Ghent has some of the same pleasures of nearby Bruges: pleasant waterside paths, numerous parks, and a pastoral countryside. Some of the best places to run in Ghent are along the Leie River and other canal paths. 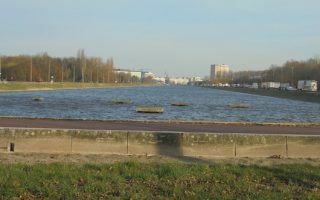 Probably the most popular run in Ghent is the loop around the Watersportbaan, which can be combined with a tour of the Blaarmeersen Lake. We’ve also put together a comprehensive ‘runseeing’ tour of Old Town. For some gentle trail running, we recommend heading over to the Bourgoyen-Ossemeersen Nature Reserve and the Parkbos. Even just across the river in Drongen, there is some lovely pastoral running along quiet farm roads. Note that Ghent is not a large city — some of our central routes are overlapping and can be combined. Transport in Ghent consists of buses and a decent tram system. Trains go to places outside the city. We’ve also created a guide to running in Bruges and surrounding countryside (30 km away) and Brussels (45 km northwest). A 10 km 'runseeing' tour of Ghent, featuring many of the city's scenic and historical highlights. Much of the old town is a pedestrian zone. Includes a ~2 km jaunt out to Citadel Park, and paths along the water. One of several enjoyable waterside running options in Ghent. 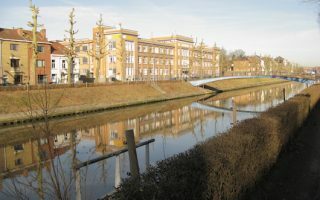 This one follows paths along the Leie River, just south of Old Town. 6 km out and back on each side of the river. 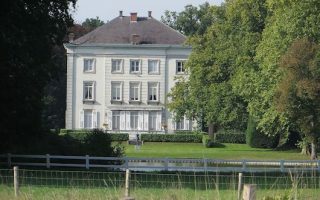 Add Blaarmeersen, Watersportbaan, or Coupure for a longer run. One of the most popular spots to run in Ghent. Great training around the 5k Watersportbaan loop, a man-made lake that's a popular rowing center. Add on the 3k loop around Blaarmeersen Lake, for an 8.7 km run, with good add-on options. Popular bike bath that's also good for running. Tree-lined, with nice older homes on each side. It's 1.5 km to Groenevalleipark, where a ~1 km loop can be added around pleasant paths. Good add-on options. Nice opportunity for some gentle trail running in this 220-hectare wetlands area just west of town. 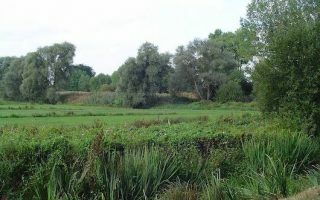 Marshy meadows, fields, woodland. There are three marked trails. Can put together a 7-8 km loop. 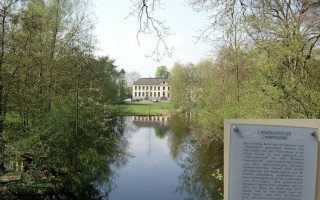 Pastoral running in this district of Ghent located on the west side of the Ringvaart. Pleasant, fairly quiet roads and paths passing farms and fields. Create your own route, including some sections of paths & Dijkweg along the Leie river. A great place for some trail running and also a work in progress. Long-term plan is for this area to be 1200 hectares. Several sections are currently open, the most developed of which is Portaal Grand Noble. Ghent’s climate is similar to that of Bruges, with cool winters and mild summers. Average high temperatures in summer are in the 23C range (73F), with cool-ish nights. Winters are cool and feature a lot of overcast, with temperatures typically around 6C (mid-40sF) during the day and around freezing at night. The 836 mm (33 inches) of rainfall are fairly well spread out throughout the year. For running, always best to bring layers and something for wet weather, since there is precipitation on about 40% of days. Runners Lab is a great group of local independent running stores, and has been around since 1980. Trakks has a location in Ghent and is a wonderful running store. Ghent Running Club. Numerous group runs throughout the week. Ghent Running Community. Facebook Group, check here for group runs. Runners Lab, a great store located in Ghent, has a good calendar of local running events. This link is another good listing of local running events.